A curious event is celebrated today. A May 25, 1977 the first Star Wars film premiered. To commemorate such a milestone, 29 years after he began to be held on Geek Pride Day, a popular initiative that attempts to claim the right to be geek. What have we to do with all this? Now I try to explain. The word geek is used, sometimes disparagingly to describe someone who is extravagant or just a big fan of a hobby, you can even get to center their lives on that hobby. We take this definition as a starting point, we are mountain geeks, are not we? Have you not ever felt alone and misunderstood for your friends and family non-mountaineers? Surely yes. How many times have you up at five o’clock to see a sunrise from the top of a summit? How many times have smiled at the place your crampons? How many times have you felt proud after seven or eight hours kicking ten kilos on your back? How many nights have been sleeping in tents or sharing a room with eight strangers who snore in a shelter? I could go on and put many examples of situations that are normal, satisfactory, desirable for us and for the rest of us are crazy, oddities, rarities. Yes, my friends. Let’s face it, we are geeks, geeks mountain and we are proud of it. That’s why we do not want to miss the opportunity to vindicate this day and proclaim to the four winds that we are geeks mountain. And to prove sure we meet again sometime lost shelter in the middle of Lapland On top of Mont Blanc or some trail High Atlas in Morocco. No matter the sacrifice and hardship, our passion for adventure can be more than that. Who in their right mind would do crazy things as we see in the video? Only a geek mountain. 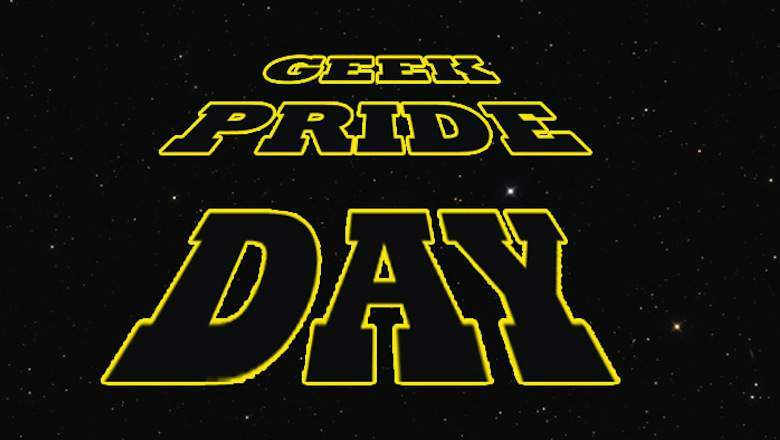 Happy Geek Pride Day Also for all those who like us you are geeks mountain.